24 - 5 minute exposures at 800 ISO on September 27, 2008. 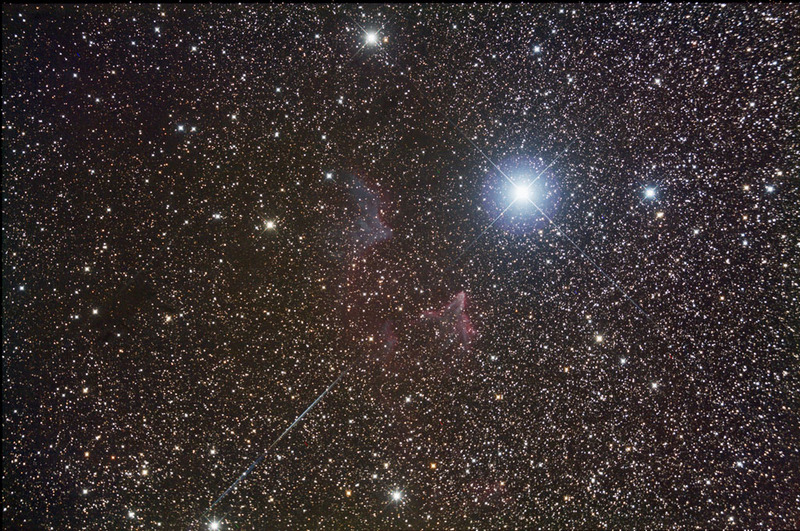 SQM reading was 20.1 The bright Star is Gamma Cas. I like the two contrasting nebulea, the blueish one is IC59, the reddish one (looks like a small Pelican nebula) is IC63.